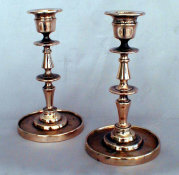 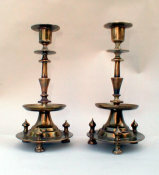 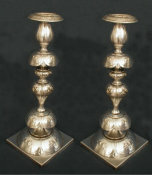 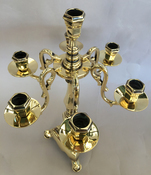 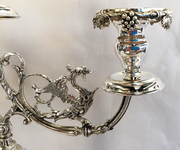 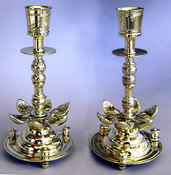 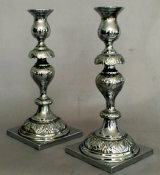 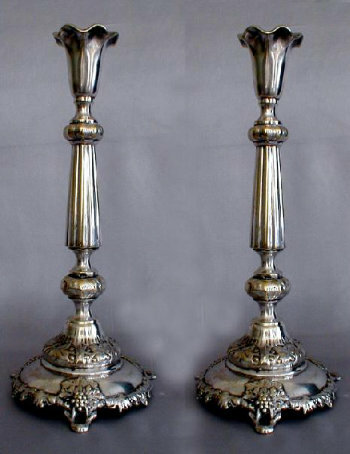 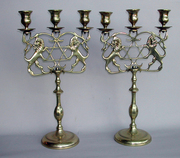 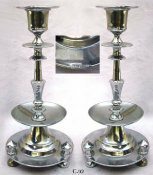 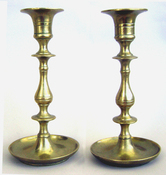 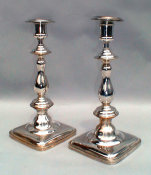 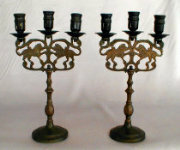 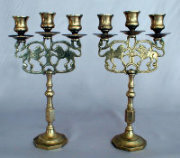 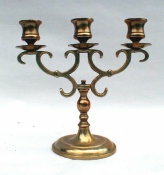 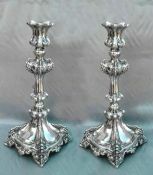 A pair of Magnificent Polish Sabbath Candlesticks, each standing a majestic 15" in height. 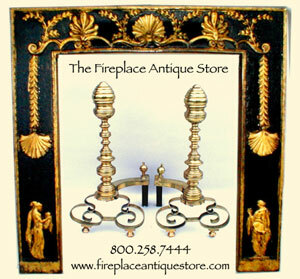 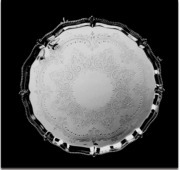 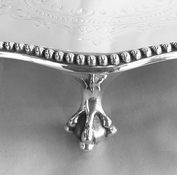 Set on three pierced grapevine supports, on a domed circular base chased with further grapevine decoration. 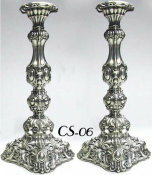 Tall, tapered fluted columns above a knop decorated with floral motif above and below. 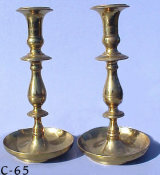 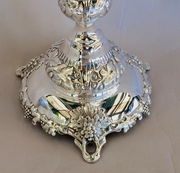 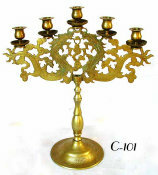 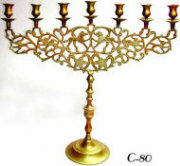 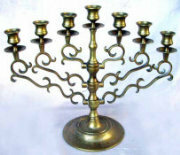 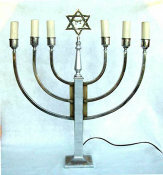 The candleholder of fluted petal form. 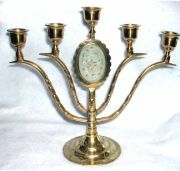 Marked: "Fraget N. Plaque" and the Polish Eagle stamp & makers mark.